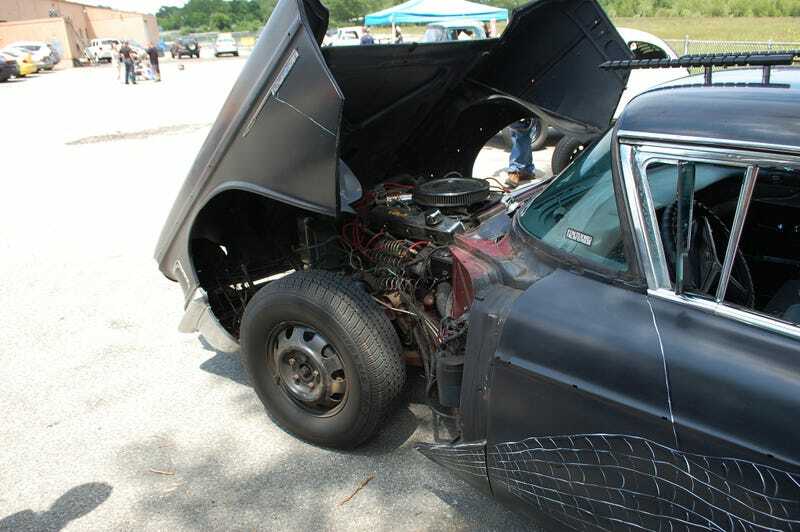 What you are looking at here is a 1958 Cadillac Eldorado body sitting on a stretched 1972 FWD Eldorado chassis, complete with 500 cubic inches of torque-monster V8 under the flip-front hood. My favorite part was the owner/builder’s off-hand comment that he built it with “stuff I had lying around”. I envy anyone who has this much Cadillac goodness just lying around.